lawyer at Nyokabi Ngina Associates LLP, took lead in training us on Matrimonial Property law, land policy, wills, public participation, Maputo Protocol and marriage among other topics. Fida Kenya is a premier women rights organization with offices in Nairobi, Mombasa and Kisumu. Learn more information about this organization click here. We absorbed lots of information and knowledge on factors affecting land in Africa. There are myriad of factors hence i can only give an overview due to limited space and time: geographical and ecological factors such as land being arid or semi-arid may have an impact on how land is used by the occupants; colonial history has influenced on land uses in numerous ways including forms of ownership and distribution of that land; Urbanization is eating fast into agricultural land. Finally, climate change and population explosion are two important factors which affect land use in Kenya and indeed all over the world. Are Kenyans getting a fair deal from Mps” bench-marking trips? The African Union Commission, United Nations Economic Commission for Africa (ECA) and African Development Bank are credited for creating a framework and guidelines on land policy in Africa. In Kenya, Land is governed by a multiplicity of policies and laws. This is further made complicated and has been reported in the past on who has the mandate over some aspects of land between the National Land Commission (NLC) and the Ministry of Lands. Women are supposed to be involved in popular participation on formulation, implementation and evaluation of land laws and policies. Many observers have in the past pointed out that there is limited civic spaces for public participation on land laws in Kenya. In many countries around the world, there are large scale operations which require huge chunks of land. For instance in Kenya there are many agricultural operations which are managed by local and international companies. Equally, there are mining operations which require land to operate. Lamu Port South Sudan Ethiopia Transport Corridor (LAPSSET) project is one such example of large scale land based investment in Kenya. The project comprises of highways, airports, resort cities, ports, oil pipeline and optic fiber networks among other projects which will open up the marginalized areas of North Eastern Kenya to the global economy. The Convention on the Protection of World Cultural and Natural Rights was put in place by UNESCO in 1972 to preserve world heritage as the name suggests. Lawyer Lena Ngina Muyanga reminds us that protocols are used to make amendments on treaties and they are legally binding on the member states. For instance, the African Charter on Human and People’s Rights commonly referred to as Maputo Protocol 2003 was put in place to protect the rights of women in Africa. This protocol provides equal opportunities for both men and women. Now let’s take a look at some of the articles in the Maputo Protocol which make reference to women land rights. I hope you will find them useful. The Maputo Protocol calls for introduction of a gender perspective into the national planning processes. This is why our Vision 2030 and other development plans in Kenya recognizes the role to be played by men and women. 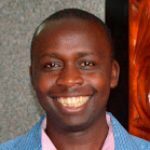 This article makes it compulsory for Kenya to have gender-responsive planning and budgeting documents. The law says that man and woman are equal before the law and each of them should be recognized for their monetary and non-monetary contributions in a marriage union. Under the Matrimonial Property law, liabilities are shared equally but benefits out the property are shared according to contribution. In the past FIDA Kenya challenged this before high court of Kenya in a case presided over by Justice John Mativo. The organization was arguing for a 50-50 benefit from matrimonial property. Since this is a matter in court we will revisit it after the appeal which has been filed at the Court of Appeal in Kenya. On this matter Fida Kenya is determined to go all the way to the Supreme Court of Kenya (the highest court in the land) in search of social justice. However, many commentators felt that this will create a loophole which gold-diggers will capitalize on to make a killing and acquire other people’s wealth. 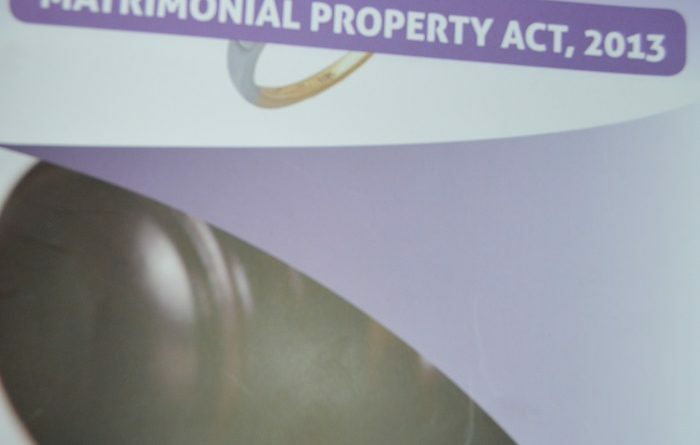 Lena Ngina Muyanga is convinced that there is no such loophole since married couples can be protected by the pre-naptual agreements. The lawyer advises that before you enter into a marriage arrangement, it is important for you to think about life after marriage. In my own interpretation I understood it to mean that you should think about the exit strategy even if it may never happen since at church we say “until death do us part.” In fact divorce is not encouraged at all by most churches but this is a debate for another day. In my own opinion, I think the world has largely been unfair to women and this problem is bigger with global ramifications. For instance, globally when we calculate a country’s Gross Domestic Product (GDP), the unpaid labor offered by women in their homes is never factored into the final outcome. This way of determining a country’s GDP has faced criticisms from time to time and its time hence this is the best time for the world to come up with a new formula on this matter. The Kenyan law says that a child has the right to inherit property. Even out-growers (children born outside marriage) can inherit property if their DNA proves that they have a blood relation with the departed. This is why every time when a prominent man dies in Kenya, secret lovers emerge to claim what belongs to them. It is all provided by the law. Who is a wife or husband? As wise men always say, the law is a double cutting sword. If we follow the law to the letter some of you who is reading this article at this hour may not qualify to be called a ‘wife’ or ‘husband’. I was surprised to learn that many unions which we thinks are marriages may never meet the minimum thresh-hold set by the law. The fact that you have been living together with your spouse does not qualify you as a wife or husband. This will be a shock to Tom and Jerry. Many people are impostors in marriage if we adhere and follow the law to the letter. If you are married tell me how your marriage was celebrated. Has dowry been settled? If it is a traditional marriage did you undergo the ‘ruracio‘ and other similar arrangements for the marriage to be classified. When a person dies without a will, this is referred to dying interstate. When a family member dies in this intestate, those who survive him/dependants are required to sit down and agree. If you fail to reach an agreement on how to share the deceased’s estate, then the court will come in and share the estate mercilessly. Under the Kenyan law, oral will is accepted for soldiers participating in an active war. For instance, let’s not forget that Kenya is in an active war in Somali. Those sons and daughters who are waging the war in the horn of Africa can make an oral will. There must be a witness in this case. The next group of people who are allowed to make an oral will are those who are terminally ill but their will is only limited to movable property. In Kenya, there has been success stories on the writing and execution of will. These two are worthy emulating. These two are: the late Njenga Karume and the late Nyeri Governor Nderitu Gachagua. As many other Kenyans I’ve been wondering when is the right time to write a will and why? Ngina informed us that “if your possession can fit into a suitcase then you are ready to write a will.” This way we will ensure that women land rights are respected. Now it is your turn to write a will, won’t you?